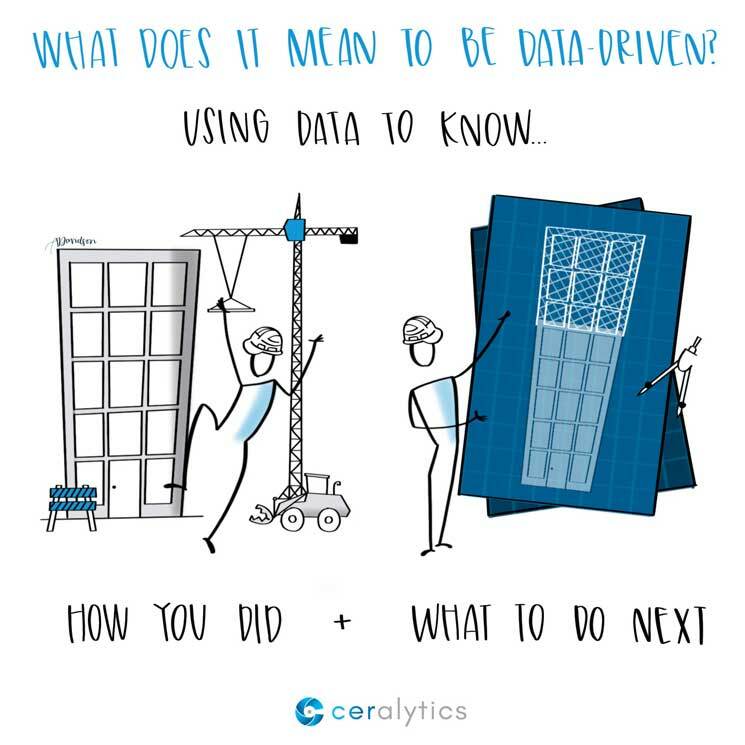 What Does It Mean to Be Data-Driven? No, Like REALLY Data-Driven. Every marketer knows that they need to use data to help make decisions and prove their success. But the majority of marketers either have no idea where to start when it comes to data, or no idea how to actually use data to drive business decisions. One of the fundamental problems marketers face is not fully understanding what it means to be data-driven in the first place. Let’s break down what being data-driven actually means, and how you can get your marketing there. Most marketers have trouble getting a handle on being data-driven because what they are doing is inherently NOT data-driven. Here are some examples what being data-driven is NOT. You might be asking, “Shouldn’t we be analyzing campaigns?” Yes, you should. But not just at the end of them. Being data-driven means measuring your campaigns as they are live, and making adjustments to them. Waiting until the end means you’ve missed every opportunity to course-correct along the way. If you can correct the trajectory of a campaign 10% of the way into it, you’re going to be in much better shape than letting it spiral out of control until the end. You’ve created campaigns, run them until budgets ran out, and then your c-suite asks you how they did. Oh crap. You don’t actually know! You didn’t identify the real goals of the campaign that you can measure, and now you’re scrambling to find metrics to prove that you did well. Pageviews! Social shares! Uh…here’s a handful of newsletter sign ups! Take it! Take it all! Please don’t fire me! We hate admitting it, but we’ve all probably been in this situation. Cobbling together metrics at the end and putting them into a fancy PowerPoint does not make you data-driven. Does your content strategy involve a lot of last-minute guessing of what content to create? Throwing stuff at the wall and seeing what sticks? Most content marketers are guilty of this. Content marketing seems easy at the beginning – just create content that answers people’s questions. But that content must drive some business goal, and without a strategy in place to get to that goal, creating random acts of content will hardly move the needle. Tying the previous three examples together is a lack of having formal strategy. If you have no strategy, you probably have no goals. If you have no goals, you probably have no metrics identified that you’ll use to measure the effectiveness of your tactics. Without a formal, documented strategy, it’s almost impossible to be data-driven. The data you use needs to lead you somewhere. Unless you know where you need to go and what you need to accomplish, the data isn’t going to help you much. If your data only tells you about the past, you’re not data-driven. You’re data-reactive. There’s nothing wrong with being data-reactive, at least you’re understanding if things worked or not. But being data-driven also means using data to actually drive future decisions. Marketing has a purpose, and you need to identify what you’re trying to achieve for the business first. It can be one, or many goals, but the point of the strategy is to drive business goals. These goals must be specific, time-sensitive, and measurable. “Increase revenue” is not a goal. “Increase revenue 10%” is not a goal. “Increase revenue 10% year over year” is a goal. Once you have a goal, you need to be able to measure it. Each business goal needs at least one metric that can prove a tactic’s success or failure toward it. This trips up a lot of people. If you can’t measure revenue, and your goal is to increase revenue, you’re going to have a bad time. How will you know if your tactics are working unless you can measure their impact? The biggest stumbling block comes with the goals around building brand awareness. Unless you know what metrics prove”brand awareness” is increasing or decreasing, it’s going to be difficult to know if you’re succeeding or not. Set the goals. Identify the metrics. With these two items, you can now answer the question of “How did I do?” That’s the first part of being data-driven. Anymore, marketing is about delivering value to your audience. In content marketing, it is the primary principle. Truly understanding your audience’s pain points (which often get confused with solutions) and how to reach customers with those pain points is something that can be done with data. There are two broad methods for collecting data – qualitative and quantitative. Qualitative data is open-ended, unstructured, and involves us interpreting the meanings of what people tell us. You see qualitative data coming in through focus groups, open-ended survey questions, and interviews with clients or even your own client support reps.
Information you get from these qualitative interviews is incredibly valuable, but it takes a lot of time and resources to get the data (interviews can be expensive and time intensive.) There is a layer of bias in qualitative data as well. What someone says to an interviewer and what the interviewer really hears can be very different things. Quantitative data is close-ended, based on numbers, aims for objectivity, and can be ranked or measured. Quantitative data can help you identify pain points and rank them in order of importance or priority. Quantitative data enables broader analyses of industries and pain points are identified without internal biases. Content intelligence is an example of a process for gathering quantitative data. Tools like content intelligence platforms help identify the pain points of audiences as well as the channels where each pain point resonates. People on social media are often looking for something very different than those doing searches in Google. You want to identify which pain points work best in each channel. Then, align promotions with pain points and channels. Finally, measure the results as you go and adjust as necessary. 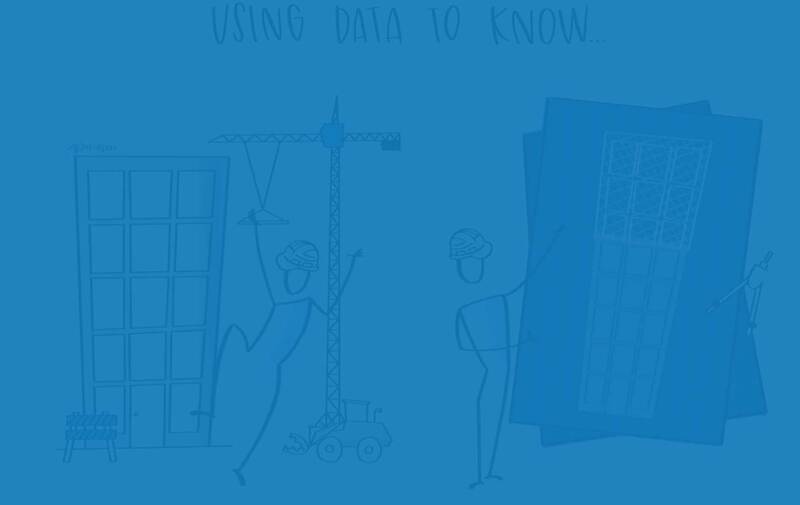 With the pain points and channels in hand, you have the second part of being data-driven: knowing what to do next. Look at your current strategy. First, do you have a strategy? Do you have specific goals and metrics? Now look at how you identify pain points. 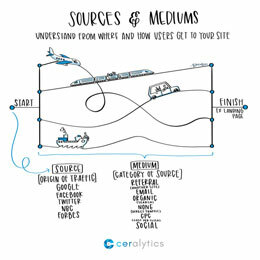 Where are you getting data from to find your audience’s pain points? Are you only getting qualitative, or do you have quantitative data that’s not based on opinions? Finally, do you have a way of measuring your channels and the pain points that work on each channel? If you do, awesome! You’re ahead of the curve. If not, we can help you.